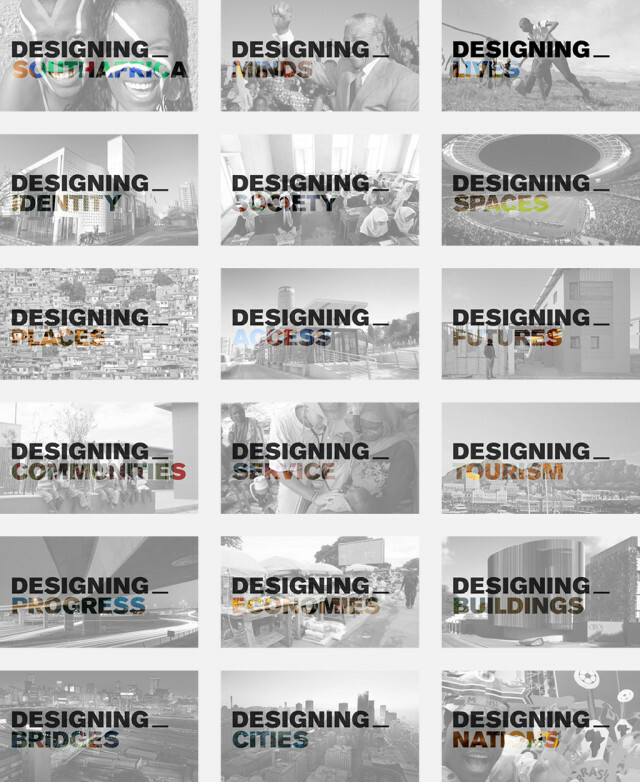 DESIGNING_SOUTHAFRICA (D_ZA) was a multidimensional programme produced by The City from 2010 until 2014. Initiated by Zahira Asmal in September 2009, D_ZA was created to facilitate a design led dialogue around the 2010 World Cup and the significant urban projects that surrounded the mega event and the nation’s democracy. Since then the programme had become a highly respected advocacy group for the proliferation of design thinking in nation building. D_ZA explored ways in which good design may create better cities in South Africa. From designing education to designing healthcare, D_ZA advocated that the process of design that includes research, conceptual thinking, workshops and an open solutions-oriented dialogue between diverse role players and designers can assist in building a better nation. The programme was made up of a network of architects, designers, artists, urbanists, policy makers and the media and provided a tool to engage and connect policy makers, professionals and the public through seminars, exhibitions, publications and online and media resources. By 2013, D_ZA had become a global brand with significant local and international influence. Together with our partners, we traveled across South Africa and the world presenting our work. It was clear to director, Zahira Asmal, that the scope and mission of D_ZA was significant and far reaching. The programme had exceeded initial ambitions and so Zahira registered a non profit company, Designing For All, to continue the work that we set out to do through the DESIGNING_SOUTHAFRICA programme, in order to fulfill a more significant role in society.